There are endless interactions between the living organisms in an ecosystem. 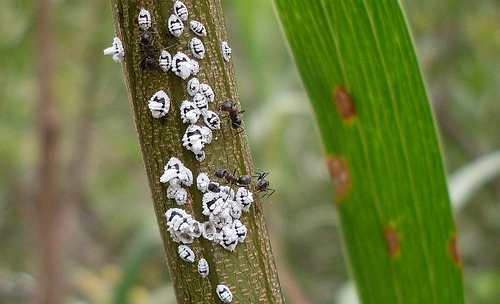 Photo: Mealy bugs (Pseudococcidae) sucking on the sap of a Sydney golden wattle (Acacia longifolia). Research each of the interactions listed below. Find an Australian example for each, include a diagram or image in your description of each.